Learning Circles in Culture Change: Why Use It? 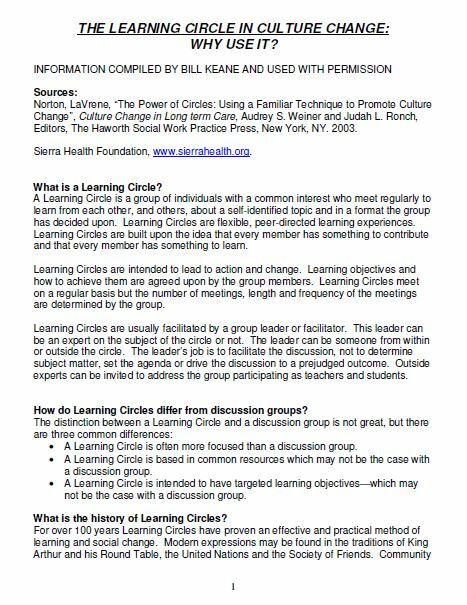 This paper gives clear, basic information about the purpose of learning circles. It includes tips for the facilitator, logistics and suggested ground rules. It also offers questions (on the topic) for learning at different developmental stages of the group. Questions can be customized for other groups and topics. 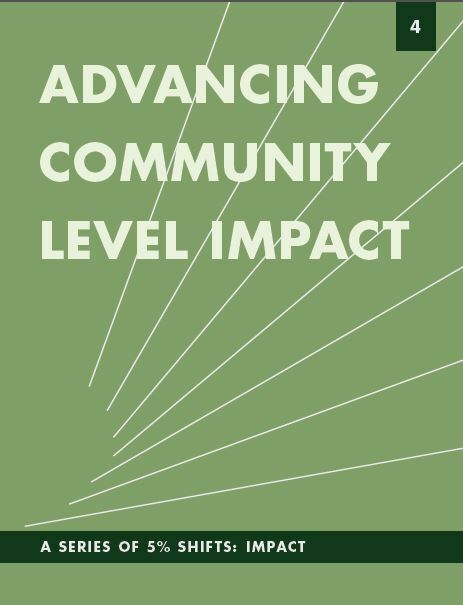 This report includes two case studies of community building efforts by nonprofit organizations in Detroit and New York City. The two cases profiled here focus on staff and clients, but organizations around the country are innovating to build a sense of community with volunteers and boards as well. Organizations who find inspiration in these examples and new insights from the tools and discussion questions are encouraged to find and develop their own practices. 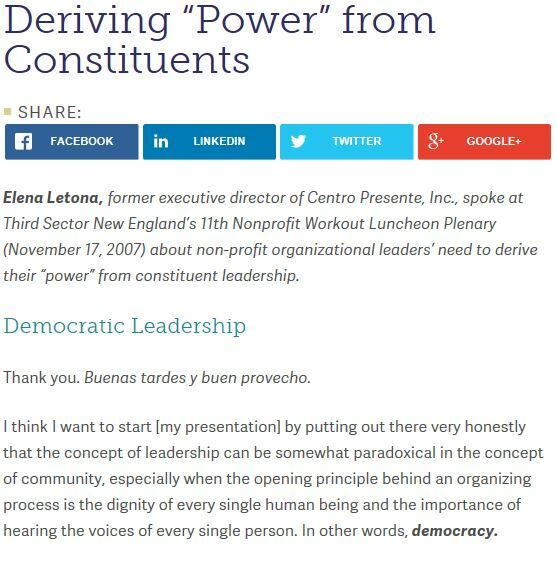 This case study describes a move to build leadership within the organization that not only reflects the community it served, but to become that community. 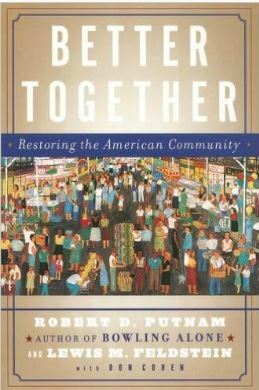 This website is the portal to Better Together, the 2000 report that identified Americas civic apathy and ways to revitalize it. There are links to the book, Bowling Alone, which describes how isolated members of our society have become, as well as a social capital primer, research and measurement tools. 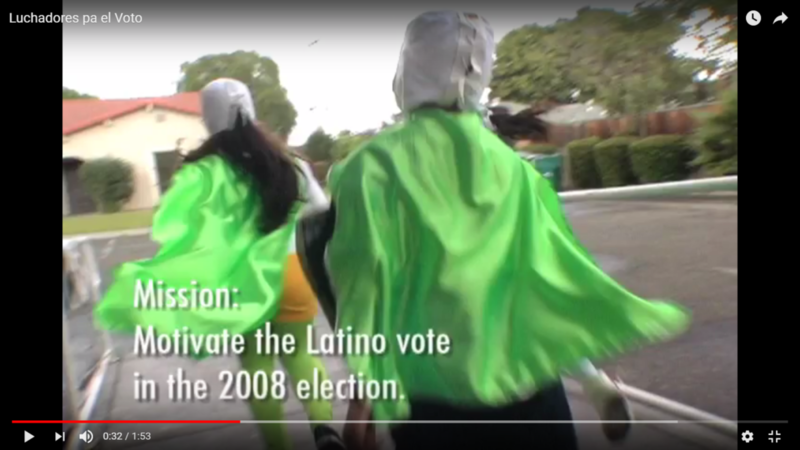 This video shows how members of a small community used the strength of its culture to address issues of voter capacity and civic apathy. How can today’s nonprofits demonstrate effective use of funds? How can they motivate employees and volunteers and combat burnout and high turnover? How can they ensure that they are performing in accordance with their mission and purpose? 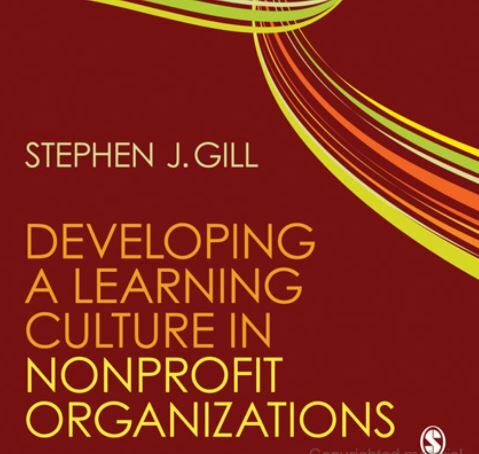 Author Stephen J. Gill answers these questions and more in “Developing a Learning Culture in Nonprofit Organizations”. 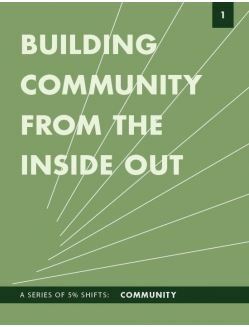 Filled with practical tips and tools, the book shows students and managers of human services, arts, education, civic, and environmental agencies how to implement a learning culture with individuals, teams, the organization as a whole, and the larger community. 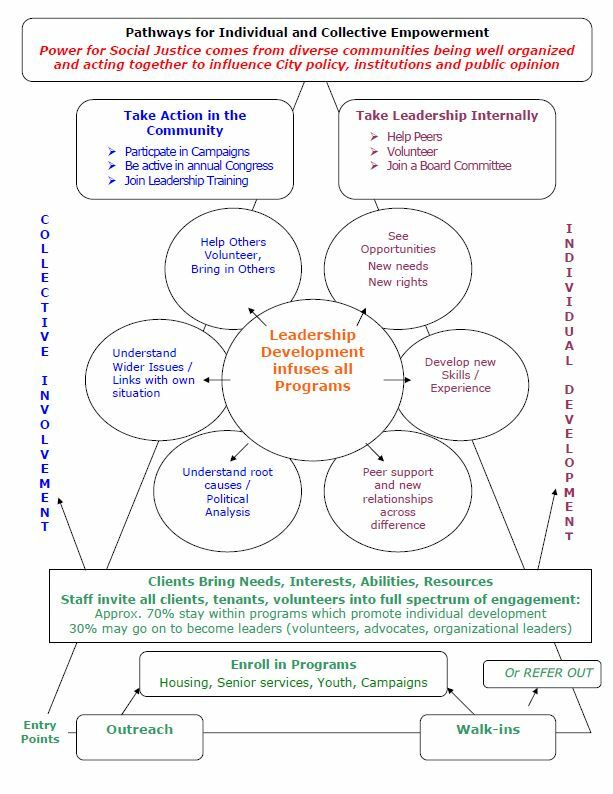 This report examines how two organizations developed and executed strategies that advanced their commitment to bridge the service-organizing “divide” by thinking beyond individual needs to address problems at a community level. 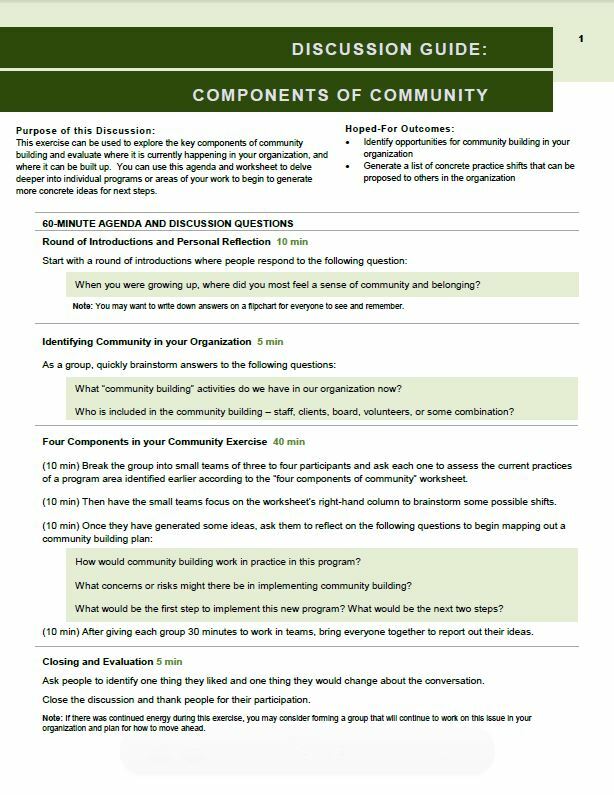 This guide helps organizations explore the key components of community building, evaluate how community building is currently taking place in the organization, and opportunities to expand community building.